Over the last decade, all major payments processors have created fraud strategies and associated services in an effort to offer real customer value to their merchants. Independent or standalone anti-fraud vendors are less prevalent, due to a raft of strategic acquisitions and partnerships offering even broader services. Traditionally, global products that may not have entered the mix are Age Verification and Identity Verification. Most payments processors today bundle fraud scoring, device, email, phone reputation, analytics and recently AI and chargeback management as part of their ever-growing ecosystems. Specialist anti-fraud providers have heavily engaged in partnering activities to maximise their payments reseller channels. Recently new anti-fraud aggregators have emerged to develop APIs to consolidate workflow management and Identity as part of the fraud puzzle. Within these product enhancements, new KYC and Authentication solution providers are joining the payments ecosystem. So what are the main driving forces behind this new wave of Identity and Age Verification Services convergence? 1. As part of AMLD4, compliance departments are taking a more sophisticated view in the utilisation of identity attributes within their fraud and risk scoring environments as part of their compliance strategy. 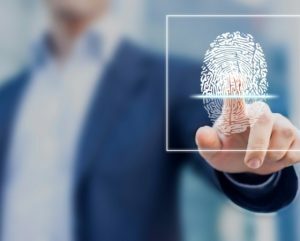 Digital Identity therefore is becoming more of a standard to a step up risk-based approach. 2. There is a new raft of processors offering transaction indemnification, the pressure on false positive ratios are therefore becoming even more important. Those processors developing total liability models need to make sure that more and more good customers are accepted as part of their underwriting models. 3. Strong Authentication methods for PSD2 will require further verification of identity attributes for any form of token issuance. 4. Legislation – Aristotle believes that processors and acquirers in the adult space are likely to be considered ancillary service providers and therefore legally required to ensure that their merchants are acting responsibly under the Digital Economy Act. Age Verification systems will be mandated across a raft of ‘adult’ sectors and processors and acquirers will have to be certain that these processes are in effect before enabling financial processing in order to avoid financial blocking or fines. 5. BYOD, Tokenised, Blockchain and Biometric identity are expected to impact and derail traditional fraud models as Identity tokenisation becomes mainstream. Processors therefore will need to evaluate tokenised identity solutions alongside their current fraud solutions architecture and either try to connect them or replace them. 6. As core-processing revenues are commoditised, processors are seeking more merchant stickiness and secondary revenue streams. Global Identity solutions will prove to be a rich revenue stream for processors who offer a seamless verification experience. 7. There’s a new wave of Peer-to-Peer, Crowdfunding and Sharing Economy marketplaces where Identity Verification may prove key to compliance, digital trust and safety, and will be critical to strengthen potential charge back issues. 8. Challenger Banks, Lenders, Issuers and Remittance platforms are all looking to verify ‘thin file’ or millennial members to gain competitive advantage. 9. Due to recent large-scale data compromises, conventional KYC processes reliant solely on PII data and Financial Sanction Screening will require additional secondary authentication attributes or measures to ensure validity of identity. 10. Online Fraud is now the most common crime. Almost half of the new form of digital crime in the UK, over 5.5M cases, were thought to have occurred last year. The triangulation of compromised PII data, Chargebacks, digital identity and location is key to obtain a clear view in any dispute process and combat this crime. Aristotle’s Integrity division is the world’s leading provider of International Identity solutions. We have developed unique partnerships with Processors and Anti-Fraud Technology Aggregators in order to enhance the connections between Identity and fraud characteristics. We provide Identity solutions to reduce global fraud rates across high-risk geographies and sectors especially in hard to match demographics, in order to reduce false positives and maximise on-boarding and KYC rates. Our team has a deep understanding of reducing fraud rates and compliance in high-risk geographies and age-sensitive markets. If you’re a processor looking to embed International identity data as part of your fraud strategy, adopt Identity Services as a key part of your ecosystem and offer improved merchant value. Aristotle would like to talk to you about developing a winning partnership.